North Korea has conducted its third nuclear test, prompting international criticism from governments and other organizations. More “measures” may follow, the North said, raising concerns that more nuclear devices may be exploded. ­Track LIVE UPDATES on the fallout of the North Korean nuclear test. Pyongyang said the Tuesday morning explosion was part of an effort to protect its national security and sovereignty, citing US opposition to the recent North Korean space launch. "It was confirmed that the nuclear test – that was carried out at a high level in a safe and perfect manner using a miniaturized and lighter nuclear device with greater explosive force than previously – did not pose any negative impact on the surrounding ecological environment," North Korea's KCNA state news agency said. The UN Security Council has unanimously approved the non-binding statement. The 15-member council "will begin work immediately on appropriate measures". The move came in defiance of the UN and individual nations, which have pressured North Korea not to proceed with its plan. After the test sparked condemnation, Pyongyang threatened that if the US responds to the test “with hostility,” then unspecified “second and third measures” may follow. This corresponds with earlier speculation that Pyongyang seeks to detonate more than one nuclear device. North Korean diplomat Jon Yong Ryong also told the UN disarmament forum in Geneva that his country "will never bow down to any resolution," in respondr to criticisms that the nuclear test violated several UN Security Council resolutions banning such actions. South Korean President-elect Park Geun-hye strongly condemned the new test. She said her incoming administration would not tolerate a nuclear-armed North Korea “under any circumstances,” and pledged to enact strong deterrence measures against Pyongyang's nuclear program. The Chinese Foreign Ministry has urged all parties involved to reduce tensions and solve the issue through dialogue in the framework of six-party talks. It also expressed “firm opposition” to the test, called on North Korea not to take any actions that would aggravate the situation, and to “honor its commitment to denuclearization”. US President Barack Obama warned that both Tuesday’s test and the earlier satellite launch are provocations, and that “far from achieving its stated goal of becoming a strong and prosperous nation, North Korea has instead increasingly isolated and impoverished its people through its ill-advised pursuit of weapons of mass destruction and their means of delivery.” He threatened"further swift and credible action" against Pyongyang. The test was also criticized by Britain, Russia, Japan, France, Germany, the EU, the IAEA and NATO. The likely response to the nuclear test will be a new round of sanctions from the UN. But no matter how many sanctions other nations impose on Pyongyang, it is unlikely to yield to demands voiced by Washington, Asia specialist Tim Beal explained. ­The United States Geological Survey confirmes an earthquake in North Korea's northeast of between 4.9- and 5.1-magnitude, at a depth of about one kilometer. 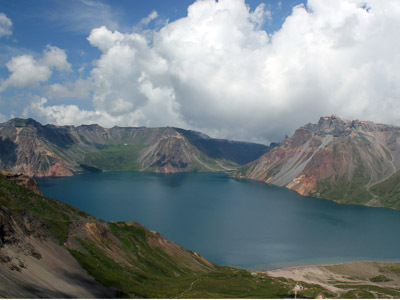 The Japanese Meteorological Agency reports that the tremor's epicenter was located in Kilju county, at exactly the same place and depth as the quake caused by North Korea's last known underground nuclear test in 2009. 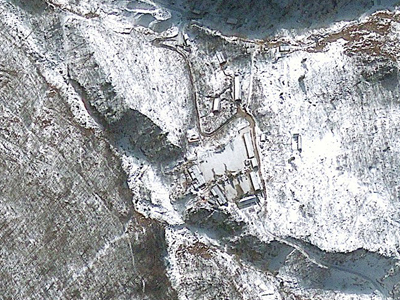 North Korea’s first nuclear test in 2006 was also carried out at the Punggye-ri test site. 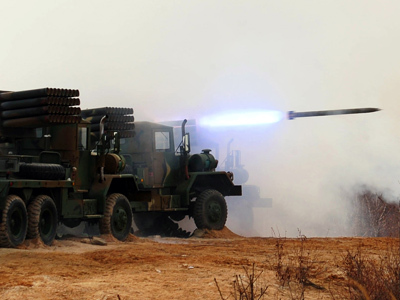 Pyongyang informed the US and China of its plans for a nuclear test on Monday, Yonhap reported. North Korea said it would continue with the test despite pressure from the UN Security Council and its non-UNSC neighbors. The South Korean military estimate that the yield of the nuclear explosion was between six and seven kilotons. Russia’s defense ministry says the size of the blast was over seven kilotons. The Vienna-based Comprehensive Nuclear-Test-Ban Treaty Organization said the yield was roughly twice as big as the previous nuclear test in 2009. Further investigation into the nature of the explosion is underway. The evidence gathered – including seismic data, satellite images and data from spy planes detecting radioactive fallout – could allow researchers to deduct the status of North Korea’s secretive nuclear program. So far, the isolated country was believed to be unable to build a nuclear device small enough to fit onto one of its long-range ballistic missiles, making its nuclear capabilities virtually useless for offensive warfare. Concerns over the claimed miniaturization effort were fueled by North Korea's rocket launch last December. Pyongyang said it put a satellite into orbit for civilian purposes, and for national prestige, but many countries claimed it was a clandestine rocket weapons test. The UN Security Council condemned the launch, which it said was carried out in violation of a UNSC resolution banning the development of ballistic technology by North Korea. An hour after the test, Japan said that it is considering leveling further sanctions against North Korea. "I have ordered that we consider every possible way to address this issue, including our own sanctions, while cooperating with other countries," Japanese Prime Minister Shinzo Abe told reporters after a meeting of Japan's security council. 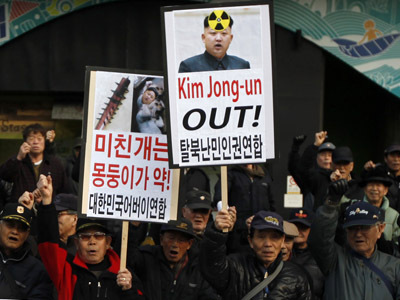 The news of the suspicious seismic activity in North Korea came days after South Korea and the US threatened that they may carry out a pre-emptive strike at North Korean facilities to halt its nuclear program. China, North Korea’s main economic partner and only ally, said Pyongyang would pay a “heavy price” and threatened to scale down aid should it carry out a nuclear test. But war correspondent Eric Margolis has told RT that now is the time for “diplomacy on the issue not empty threats,” because Pyongyang does not feel threatened having a powerful military. “Nobody is going to take any military measures against them.” Meanwhile Magolis argues “North Korea is important to China strategically,” saying that if the communist regime in Pyongyang would collapse, South Korea would take over the state and place US troops on China’s border. Therefore, China’s response will concentrate on doing everything to keep the communists in power in N. Korea. ­The timing of the test makes it difficult to ease tensions, and a lot of uncertainty surrounds the situation, independent news editor James Corbett said.